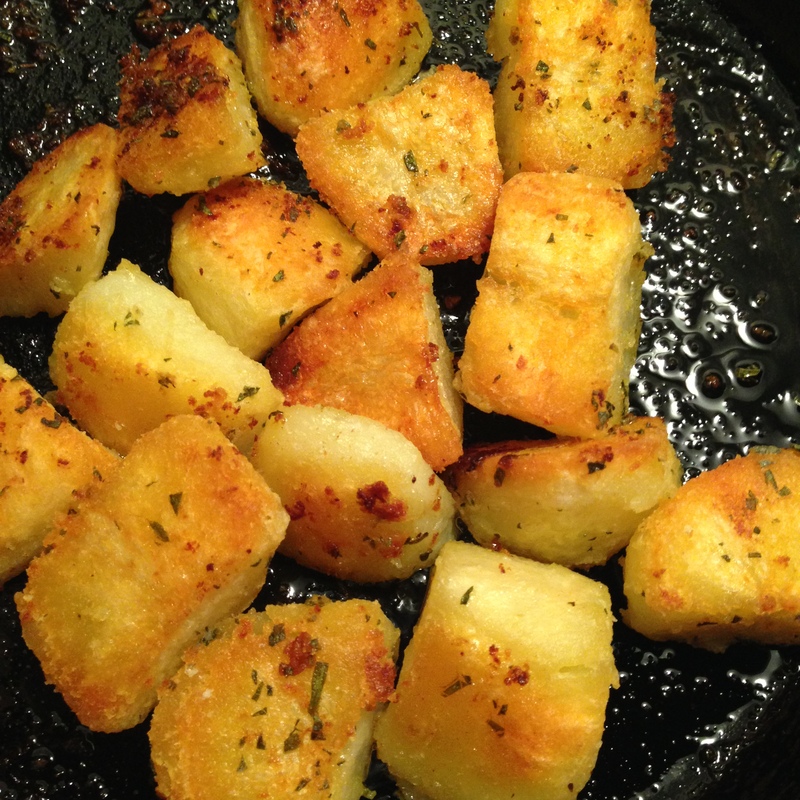 We love potatoes and the roast potato is one of our all time favorites. We love to serve them with our fabulous Easy Roast Chicken but lets be serious all meats benefit from being served along side of these babies! Begin by peeling the potatoes. We love the fluffy inside when this is the potato that’s used. 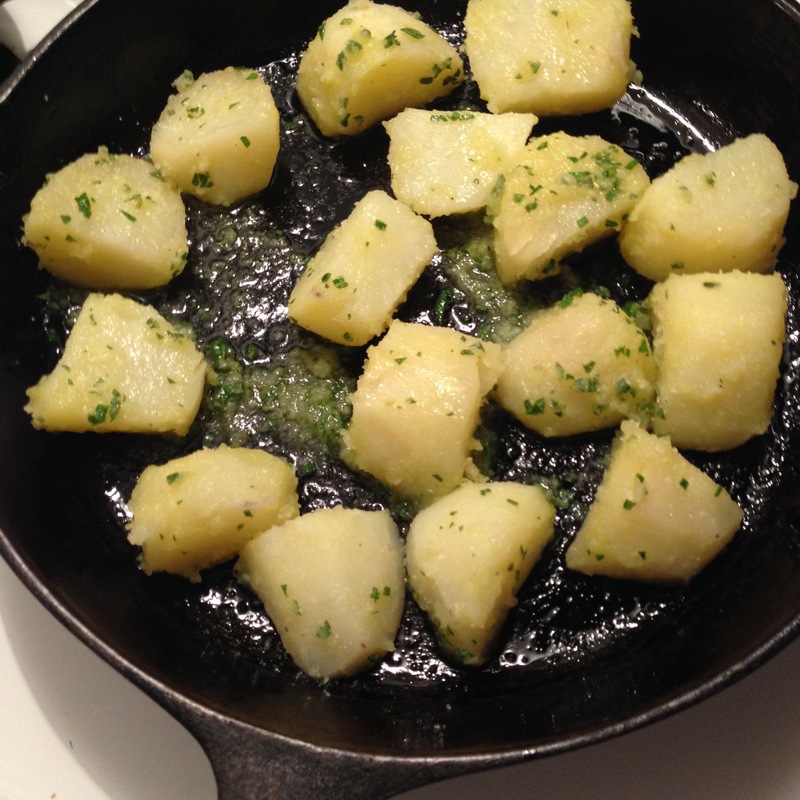 It does work with white potatoes too but the inside is a bit more waxy when cooked. Cut the potatoes into big chunks. 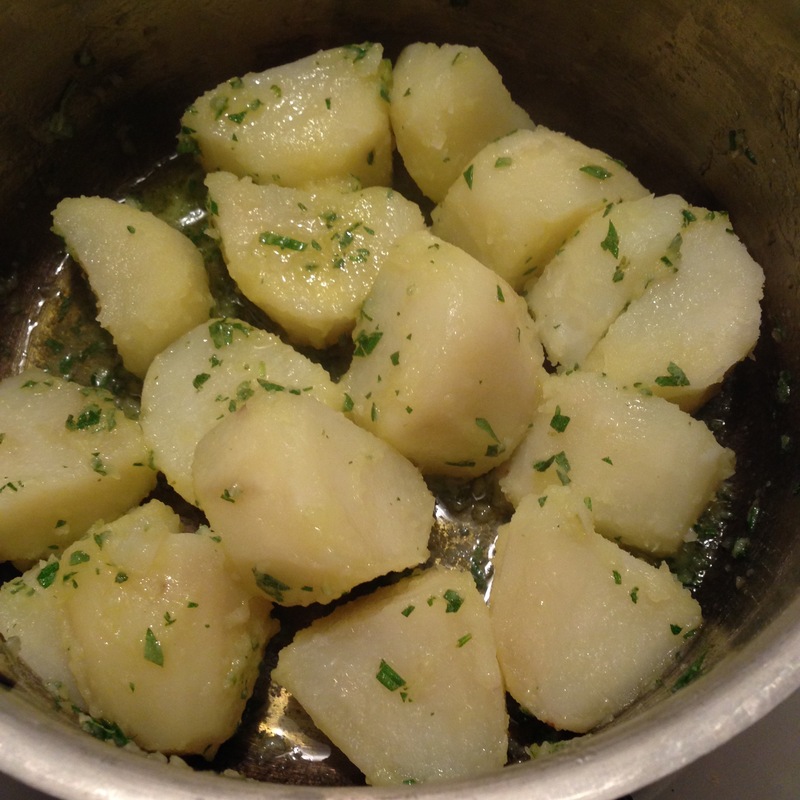 If the potatoes are small, leave them whole, if medium cut them in half and if they are large cut into quarters. If they are too small they loose that fluffy center. Start them in a pot of cold water with salt. Boil until just tender. you want them to hold their shape. Place the potatoes into an oven proof dish and drizzle with plenty of olive olive, sprinkle on some fresh minced Rosemary. Place in a hot oven 400F until they are golden brown. ( you should turn them over when they are crispy on the top side). You know your Best Ever Roast Potatoes are done when they are brown all over and pierce with the point of a knife. Now lets dish it up and call it dinner!